The AIR12’s molded plastic cabinet can be mounted in several ways, providing tremendous versatility. The multi-angle enclosure sports nonskid rubber feet on the bottom for upright front-of-house use and nonskid rubber feet on one side for stage monitor applications. Rig the speaker using M10 fly points, yoke-mount it to walls or beams, or ground-stack it for portable applications. Mount it on a tripod or atop an AIR-series subwoofer using an optional sub pole. The integrated dual-position pole mount lets you aim the speaker level or at a 7.5Â° downward tilt. And the AIR12 is easy to transport, thanks to its top-mounted handle. If you place a loudspeaker against a hard surface such as a wall or floor, the low frequencies emitted from the rear of the enclosure propagate back into the room. This effect, called “half-space loading,” can increase the output of bass frequencies by as much as 6 dB, and it is an unavoidable issue with floor monitors. Most PA speakers in this class simply roll off excess low frequencies with a highpass filter, a half-baked compensation for half-space loading. In contrast, AIR-series full-range loudspeakers offer a Monitor preset that uses DSP to retune the speaker to both compensate for bass buildup and maintain a tight mid-bass response, while suppressing problematic frequencies to reduce feedback. 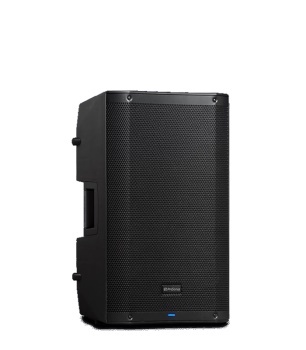 With their “best of both worlds” power-amp configuration, carefully programmed DSP presets, versatile mounting options, flexible inputs with onboard mixing, and other professional features, PreSonus AIR-series loudspeakers are an excellent choice for both mobile and installed sound. You’ll love their easy transportability and their affordability. But the best thing about AIR-series loudspeakers is their clear, natural, “AIR-y” sound. Don’t just take our word for it, though. Check out AIR-series loudspeakers at Jackson's Music.